You might ask, how is it a holistic spa can offer "advanced treatments"? Good question. Please rest assured RHEAL strives to stay true to her mission. We look to treatments that help with graceful aging and do not interfere with the body's natural rhythms. 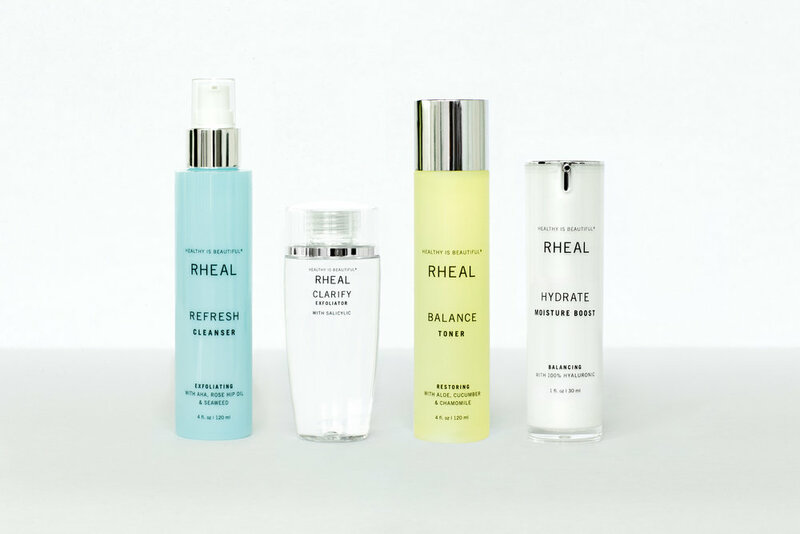 RHEAL offers its very own skincare line featuring serums that will bring you the most current, most effective ingredients to help your skin age more gracefully. These products and more may be purchased both online and in our retail store. Lymphatic Drainage add-on is available. Add CTGF to improve the appearance of skin tine, texture, and elasticity. Add a DermaBuilder boost to reduce the appearance of fine lines and wrinkles. The ultimate HydraFacial experience.Begin the detoxification process with Lymphatic Drainage. Follow with Signature HydraFacial to deeply cleanse, extract and hydrate the skin. Address specific skin concerns with a booster of your choice. This treatment concludes with LED Light Therapy to further reduce the visible signs of aging. *Ask us about HydraFacial membership pricing! A fresher face without surgery! Tighten, tone and firm your skin with no downtime. Radio frequency technology heats the deep layers of your skin and stimulates the production of new collagen. Improve areas such as: around the eyes, between the eyebrows, fine lines around the mouth and sagging along the jaw line under the chin. Combine Pelleve and Hydrafacial for even faster results. Please inquire about pricing. Refine and firm your precious skin… Using ultrasound and water! Suitable for all skin types, the gentle alternative to microdermabrasion for sensitive skin. $160 with Essential. 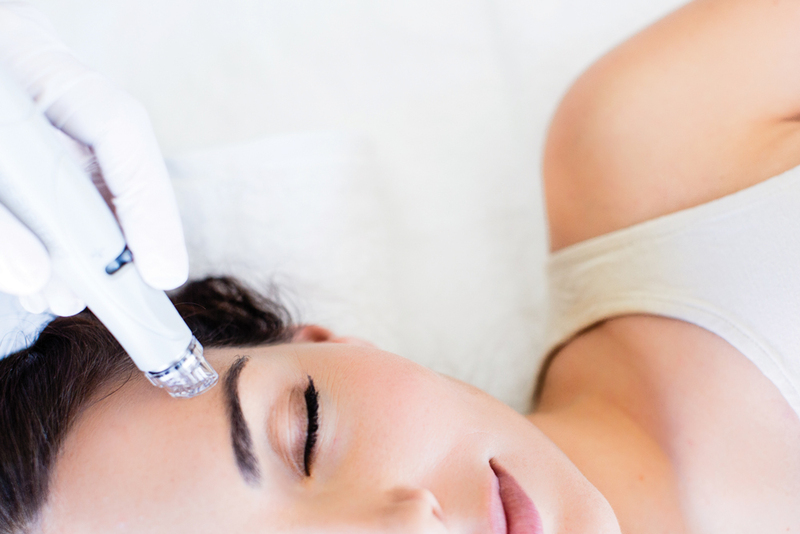 Rejuvenating Facial $165 | six treatments $907 Ultrasonic facial incorporating RHEAL's Sustain Stem Cell Serum for a jump start to firmer, brighter skin. Includes a full size serum for home use. Micronized current and LED light energy rejuvenate the skin and lift sagging muscles from the cellular level. Pricing for face and neck $185 with Essential or ultrasound. Targets common skin issues such as minor acne, redness, and uneven pigmentation utilizing the specific LED energy required for your skin condition. Leaves skin feeling smooth and hydrated. Radio frequency removal of skin tags, age spots, and cholesterol deposits.